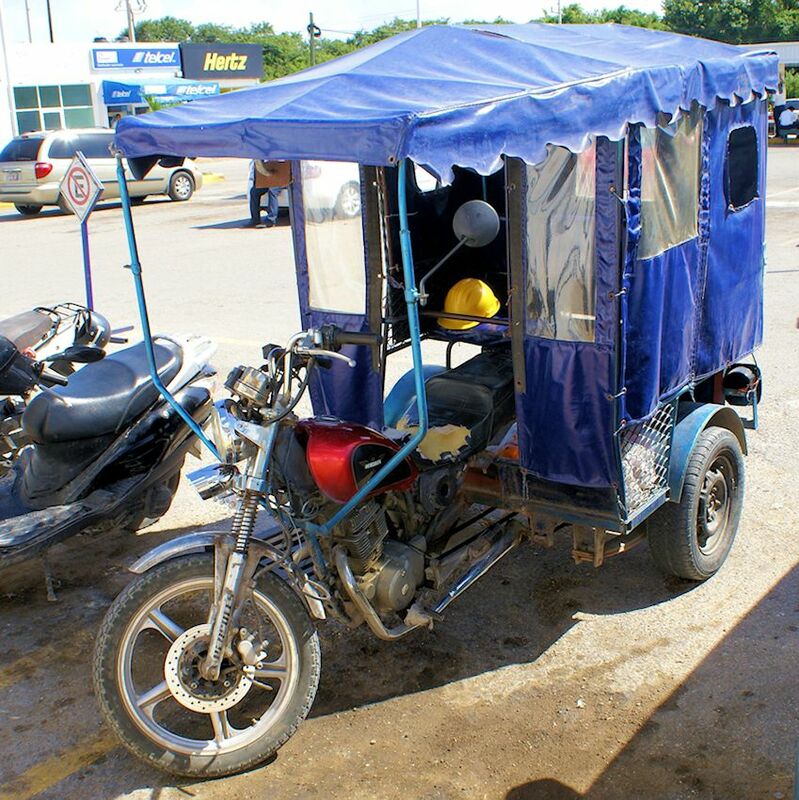 I saw this trike in Mexico, in the town of Tulum. The town that is adjacent to the ruins. Obviously, this is a vehicle one cannot purchase. One must craft it. I have a welding machine. The little voice in my head asks – can you get this thing licensed for the road? This is a project… to consider. Went to Mexico and took this photo.